On Friday Mar. 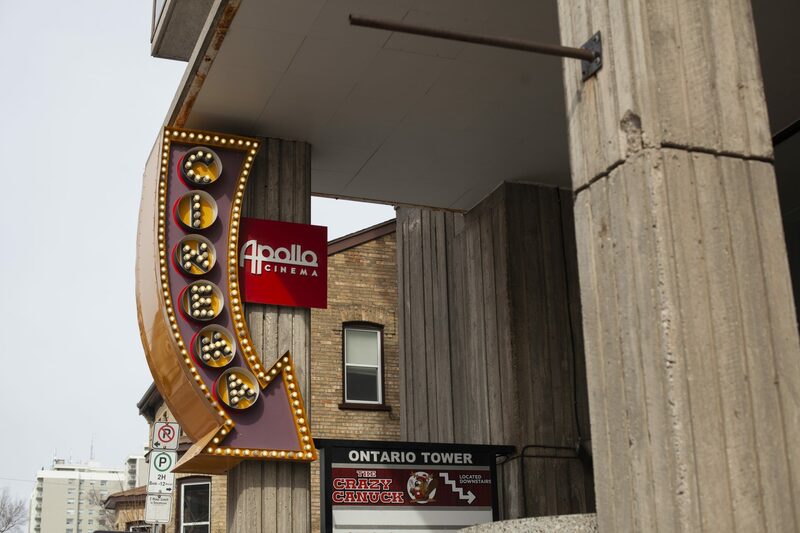 29, the Apollo Cinema in downtown Kitchener had their second annual Free Feminist Friday movie night. This year, the theatre was screening Persepolis, the story of Marjane Satrapi, adapted from the graphic novel of the same name, a young woman who grew up in pre- and post-revolutionary era Iran and in Europe. The film features themes such as identity, mental illness, race and immigration, as well as the obvious picks of religion and gender. Though it is relatively short in runtime, many members of the audience thought that it had a strong message. “It had something for everyone, really,” said Deanna Gooden, a student in the faculty of engineering at University of Waterloo who attended the screening. That’s an analysis that I have to agree with. I found myself tearing up at times, but I also got a few laugh-out-loud moments, which is rare for me in movies. I found myself talking about the film even days after I saw it, which means it had to have left some impression. “I’d definitely come to something like this again,” Gooden said. When I got my ticket, there were already over 200 people in attendance, and there was quite a line behind me as well. I think it’s safe to say that there was a very good turnout for the event. Especially considering that this film is in French with English subtitles, I was surprised at how many people seemed genuinely engaged with the film, as well. We were all surprised at the not-so-Hollywood ending, and their was a silence in the theatre even after the credits came up and the lights went on. All in all, it was a different experience, but a good one. “I loved the different animation styles,” said Claire Thompson, another student that attended the screening. Most of the Apollo’s free screenings are reserved to members of the cinema, but this screening was open to all. I heard several people in line remarking that this was their first time in the cinema, as well. What Thompson is referring to is the different styles that the film uses to convey its story — the past is in black and white, the present in colour, and other techniques are used for stories within stories, such as paper cutouts when the father describes how the Shah came into power in Iran. This event was sparked by the success of last year’s Free Feminist Friday screening of Practical Magic. “Feminism isn’t something that should just be thrown around on International Women’s Day,” Thompson said. If you’re interested in The Apollo’s events, they do have several others already announced for the upcoming month. On Apr. 14, there is a singalong to Jesus Christ Superstar, and on Apr. 27 they’re showing Uncle Buck with pancakes. The next free screening is another that’s free for members, and it’s Reality Bites on Apr. 24. You can find all of the Apollo’s upcoming events listed on their website.